Sennelier Abstract Acrylic colours are a heavy-body multi-media acrylic paint with high pigment concentration. 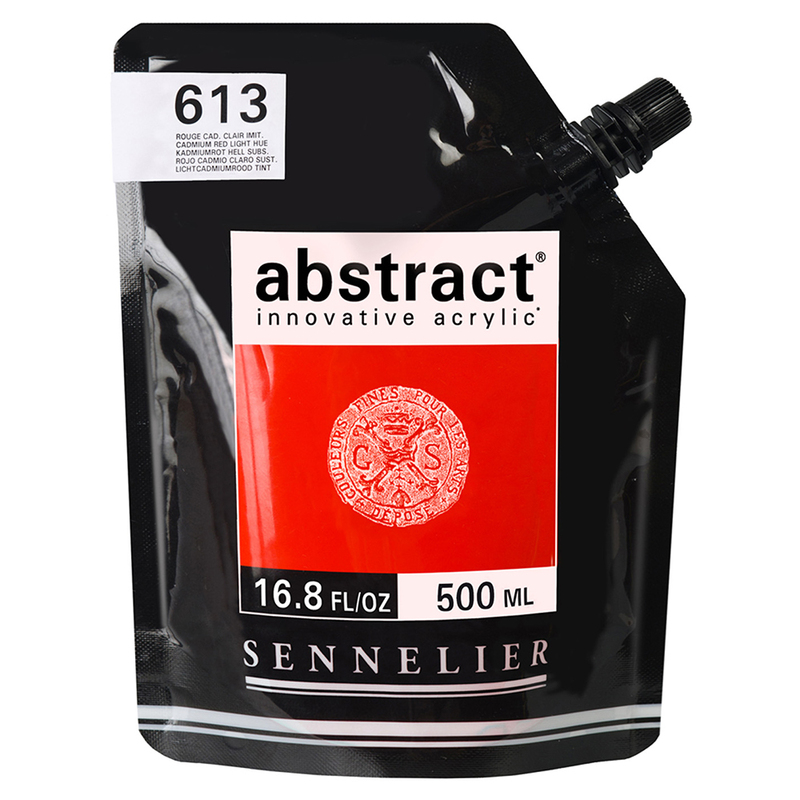 This high quality acrylic paint is manufactured in France and is packaged in a flexible pouch that will completely transform your painting technique. These colours all have a satin finish, with 2 iridescent colours available. Innovative, elegant and handy these pouches are more durable than a tubed product and can be easily transported to your desired painting location. The pouches can be firmly resealed with the nozzle which means no drying out and no waste. The ultra clear packaging gives an accurate colour reading from outside the pouch. Now available in 20 Satin-Finish colours in 500ml pouches.